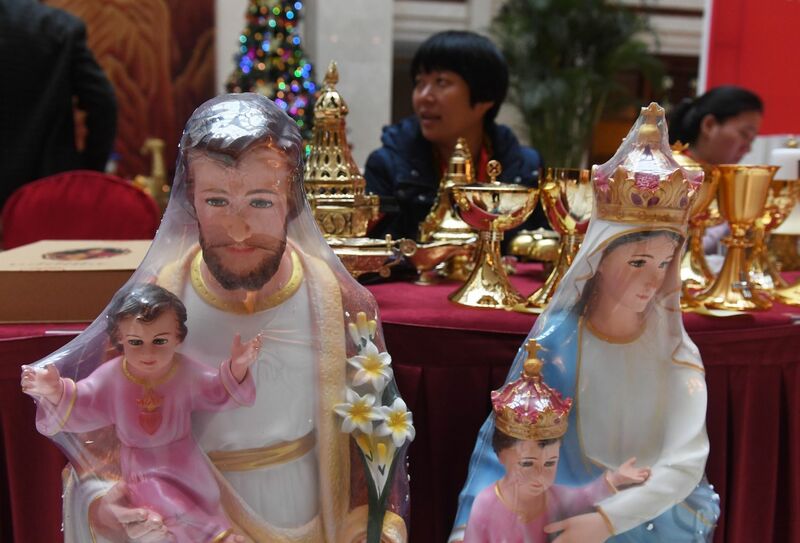 Figurines on display at the ninth Chinese Catholic representative conference in Beijing, December 26, 2016. Ian Johnson is a Pulitzer Prize-winning journalist who has lived in Beijing and Taiwan for more than half of the past 30 years, writing for The Wall Street Journal, The New York Times, The New York Review of Books, and other publications. He has written two books: one on civil society and grassroots protest in China and another on Islamism and the Cold War in Europe. His next book, The Souls of China: The Return of Religion After Mao, will be published in April 2017. Ian has covered the gamut of religious topics in China, from the recent tightening of controls on the faithful to shariah with Chinese characteristics to Taoism, and is uniquely qualified to discuss the subject of this episode of the Sinica Podcast: the complicated relationship between the Vatican and the Chinese Communist Party. Kaiser, Jeremy, and frequent guest-host David Moser talk to Ian about the Catholic Church in China: the arrival of Jesuit missionaries in the 16th century, the current state of Catholicism, and what the recent apparent warming of relations between the Church and the Communist Party means.